A home where all are welcome regardless background or affiliation. A place where every Jew is family.  A Jewish student organization serving Kennesaw State University, that provides educational, social, and recreational programming for student and faculty. A space where students socialize in a comfortable home-like setting with great friends, superb food and stimulating discussion. A forum where you can question your faith and not be afraid of judgment. A haven to run to when you're stressed or lonely and need a true friend. A center for prayer and study, where you can gain a deeper understanding and appreciation of your Jewish heritage. A partnership between students and staff to help create student programming, plan social action projects and offer many volunteer opportunities. An academy providing texts and teachers for those who seek to learn. An environment where being Jewish is fun.